Police arrived between 4:00 and 4:20 AM. They entered the ROD area about 4:30 AM. They cut the chain locking the gate using boltcutters (they later claimed that they had no such tool with them). Six plain clothes officers entered people’s houses. Our friend was awoken by a group of policemen throwing questions at him about his identity. They later went on to search the whole area. They showed no search warrant in spite of being asked to show one and gave contradictory reasons for the intrusion. At one time they claimed to have received a call about a kidnapped woman who was being held here against her will. Police did not see anything inappropriate about the early hour of their intrusion. They asked about how we live here. They claimed they were carrying out a reconnaissance, and they spent about an hour in the ROD area. Finally, they left ROD. Later, at about 8 am two police officers in uniform turned up at gate B and demanded the gate be opened. They said our presence here was illegal, but they gave no reason for showing up. They retreated after being asked for a court warrant. At around 9:20 AM about 15 police officers arrived at ROD. This time they had been let in through gate C by one of the gardeners. They took ID’s from all persons present and once more asked questions about how many of us lived here, what the rhythm of life is, etc. This time they said the reason they had come was to count the number of homeless people. Around 3 PM police showed up again. This time there were 5 of them, one had a big notebook. They aggressively asked the gardeners questions, repeating them over and over again, pushing an unregulated interrogation. They gave no legal grounds, gave no information. They sniffed around for about half an hour, then left. The ROD gardeners will not succumb to the pressures of the authorities. We will continue our activities in spite of the repressions we are being subjected to. We invite all to visit ROD and take part in our activities. We will not be silenced. Earth to all who wish to work it. Ask us for info on upcoming events! Today, at 2. of June a policeman came to ROD area again. He had a list with a names of the people, who was controlled on the first raid. His goal was obviously to control the people and add new names to the list. In the end he got only one. He asked the same questions, police asked before: how mane people are u? What are u doing? How many non-polish residents do u have? He also mentioned, that he will come every week to “check, if everything is ok”..
We will not succumb to the pressures of the authorities! Solidarity is our strength! The situation of police repression is strongly connected with new anti-terrorist law in Poland and arrest of three anarchists. We interpret this as an attempt to intimidate and criminalize social justice movements in Poland. On the night of May 23rd, the police in Warsaw arrested three anarchists on charges of an alleged arson attempt of a police vehicle. The three were transferred to a remand prison where they are to be held in custody for three months, awaiting trial. They face up to 8 years in prison. Media frenzy broke out over the arrest in the past few days, with high-ranking politicians and experts on terrorism discussing the matter on TV. Photos and video reruns of the arrested walking with chains around their feet and hands are broadcast on public transportation. The text below is a translation of the statement that was sent out by various groups from the anarchist and wider social justice community in Poland, in response to these arrests. The mass media in Poland are releasing increasingly more absurd, one-sided reports about the arrest of three anarchists on Monday, May 23rd. We interpret this as an attempt to intimidate and criminalize social justice movements in Poland. As we write, Polish authorities are pushing for the so-called “Counter-Terrorism Act” to enter into force by June 1st of this year. It is no coincidence that as we approach this date, the media and politicians are desperately searching to construct a reality in which this new law will seem absolutely necessary. Yet the step-by-step analyses of the police operation that neutralized the alleged arson attempt of a police car on the night of May 23rd stand in stark contrast to the media’s silence around other recent events, which challenge the image of “police heroes”. Just a few days before, the police in Wroclaw murdered Igor S., an unarmed man. Igor was beaten to death while in custody at the police station. In this case, righteous indignation on the part of politicians, media, police or terrorism experts is hard to find. Journalists prefer to safely turn their critical gaze in another direction when it comes to police brutality. But police killings are only the tip of the iceberg: extortion, beatings and the unlawful protection of the interests of the powerful are daily bread in Poland. Every year, among 16,000 complaints filed against the police only 5 percent is taken into consideration, while the rest is simply ignored. Due to media bias and omissions, the police have little fear of repercussions. It is safe to say that people are officially discouraged from filing complaints since they bring no effect. The truth is that only loud protests and upheavals have the power to prevent police violence from being quietly swept under the carpet. We must bear this in mind, as the media will not miss the opportunity to pave the way towards the greater expansion of police authority and to further reduce public control over the activities of these bodies of repression. Today, the panic over an alleged, failed attempt to burn down a police car fabricates the consent necessary in order to pass a severe law that will allow for uncontrolled surveillance, a database of potential terrorism suspects, shoot-to-kill policies, martial law, the delimited right to public protest, and the profiling of migrants, Muslims in particular. This is legislation that will allow for unlimited police violence against all people. Today, irresponsible journalists use sensationalism associated with “terror” in an attempt to persuade those not yet convinced: even official political trends in Poland express doubts about the new “anti-terrorist” law. 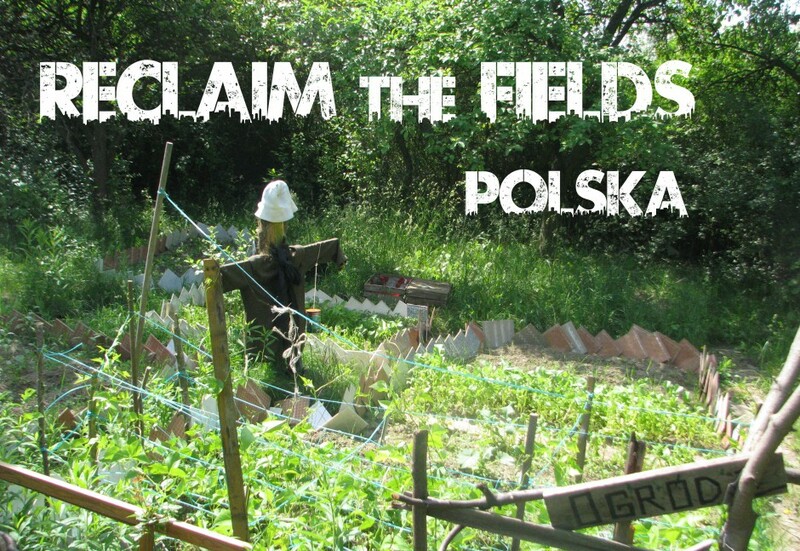 The anarchist movement in Poland is active within groups of workers and tenants, in the environmental and anti-racism struggles, as well as in the fight against land-grabbing. It works without compromise towards social justice and against the oppression of business and political elites. The lack of public control over the police force has led to a tacit approval of uncontrolled brutality, on the part of police, against people opposed to systemic violence in various fields. More broadly, the atmosphere of a witch-hunt of the entire anarchist movement serves to build consent for the repression and surveillance of communities that challenge the most influential interest groups in this country. Today, amidst the media reconstructions of the alleged arson attempt, the psychological profiles of the would-be arsonists and the press conferences, it is with great anger that we recall the lack of a similar reaction to the repressions of people fighting for our causes. When the tenant activist Jolanta Brzeska, who lived 50 meters from a police station, was repeatedly harassed and eventually assassinated in March 2011, we could not count on similar outrage from the political elite. There were no TV debates, expert opinions, or step-by-step accounts of how she was kidnapped and burned alive, like a witch. There were no psychological profiles made of the real-estate developer who harassed her; there were never even any murder suspects. Indeed, whenever attacks are made on social justice fighters, public opinion does not pay them any attention. In contrast, a media storm explodes around an arson, which in fact, did not take place. The arrested anarchists are being referred to as “terrorists”. This serves to enforce social acceptance of using physical and psychological violence against them now, while they are in custody. Their current state of health and physical appearance already testify to the fact that they are being tortured, with impunity. To our friends and comrades: resist the panic spread by police and the media. The good authority, concerned with our safety, is merely an illusion. Ask: who benefits from this sort of writing of history? Does such a manipulative narration leave any reason to believe in a fair trial? We will not be intimidated, nor will we cease our struggles for social justice; in spite of what is increasingly becoming a full-fledged police state. To the media: until you have the courage to condemn many years of police violence, sustained by an excess of privileges and the entire state apparatus, your judgment of the imprisoned anarchists and your campaign against the whole anarchist movement will only ever serve to reveal your well-funded bias. There is no- and there never will be any- authority, business or church behind this movement. Our history is made of a thousand social struggles, about which many of you are too afraid to speak. Our history will survive any repression. We stand in solidarity with the arrested and we call on all people to do the same. Enough of a state founded on fear and police violence!